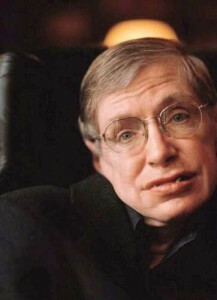 Perhaps the most distinguished and renowned theoretical physicist alive today, Stephen Hawking caused something of a stir recently when in an interview with England’s Guardian newspaper he included the above statement in answer to the question “What, if anything, do you fear about death?” This follows on the heels of his assertion last year that the universe exists and operates according to fixed discernable laws and therefore need not have been put in motion by a creator, a.k.a. God. The present Mythfire post takes up the more recent of Hawking’s two claims and compares it with those made by C.G. Jung in “On Life after Death,” a chapter in the latter’s autobiographical Memories, Dreams, Reflections. On certain key points these two intellectual giants seem to be in complete agreement. Most basically, perhaps even obviously, Jung agrees with Hawking that the physical body – including the brain – does not survive beyond the point of death. Jung also believes that because of our understanding of the afterlife we must – as Hawking states in answer to another question – “seek the greatest value of our action.” And yet, of course, it is with this understanding of the afterlife that the two great men diverge. Again, as with Hawking, Jung, too, believes that we should “seek the greatest value of our action” while alive. Ironically, Hawking takes this viewpoint because he doesn’t believe in an afterlife and Jung because he does. These and other experiences convinced Jung that in addition to the dimensions of space and time of which we are conscious there is at least one space-less, timeless dimension of which we are mostly unaware or unconscious – at least until (and possibly to a certain extent even after) our deaths. And yet we are able and even obligated to add something by our actions here and now to the general knowledge and completeness of this life after/life. If Jung’s hypothesis of heaven is correct, then in the final analysis the fulfillment of these basic interests is germane to both mortals and “immortals” alike. 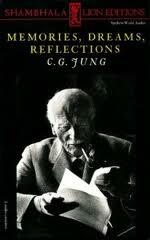 Readers are encouraged to (re-) visit Jung’s Memories, Dreams, Reflections for more. Note: A YouTube clip of Jung addressing several of the above ideas can be found here: http://www.youtube.com/watch?v=T-Ab3tlpvYA&feature=feedrec_grec_index. Also, similar to Jung’s “hints,” his colleague Marie-Louise von Franz discusses “speculations” about death and “glimpses” into the afterlife in an exceptional 1978 talk entitled “Archetypal Experiences Surrounding Death.” A recording of the talk was made available on CD for the first time last month and can be purchased here. Jung, C.G. Memories, Dreams, Reflections. Recorded and edited by Aniela Jaffe. New York: Vintage Books, 1989: 299. Italics added. MDR was originally published in 1963. Ibid., 322. Jung repeatedly uses the word “hints” in the chapter under discussion. See also pgs. 301, 302, 303, 304, 312, and 316. Jung uses the word “hypothesis” on pages 301 and 302. Ibid., 301. An earlier Mythfire post discussed the idea of imagination in terms that are pertinent to the present discussion. Footnote #3 in the same post specifically references the vital role fairy stories (or tales) as well as myths play in our lives. This entry was posted in Depth Psychology, Dreams, Imagination, Myth. Bookmark the permalink. I found this article to be useful. 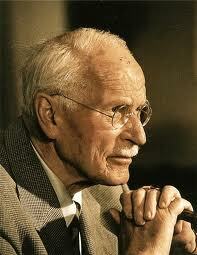 I am a scientist that is beginning to scratch the surface of Jung. Thanks for reading, Moriah. I appreciate you taking the time to comment. This neatly addresses a stirring that has filled me with wonder and consternation since childhood. Feelings of derealization, anxiety, and isolation come along with the possibility that this consciousness might be the only one I ever have the privilege of experiencing– but then, I remind myself that I have experienced many different lenses of consciousness in this life alone (some far more positive than others). Humans are able, both, to create and witness an infinite number of realities. I know that an immortal component exists, because I have experienced it. Thank you for this insightful blog.